Pop-Up Opera return this autumn with a reimagining of Bizet’s famous masterpiece La Tragédie de Carmen. In 1981 Peter Brook collaborated with composer Marius Constant to reimagine this emotive opera and, now, Pop-Up Opera will stage this stripped back incarnation. Sung in French with Pop-Up Opera’s signature ‘silent movie’ captions in English, this dark and thrilling piece may not always be as you expect. Pop-Up Opera’s retelling of this intense and tragic tale follows the four key multi-faceted characters in a thought-provoking drama of unhinged love and jealousy. Actions are not without consequences and the stark reality of the repercussions for Don José are laid bare as the story unfolds in a series of his tormented flashbacks. Pop-Up Opera continue to challenge the perception of opera and bring it to the next generation. 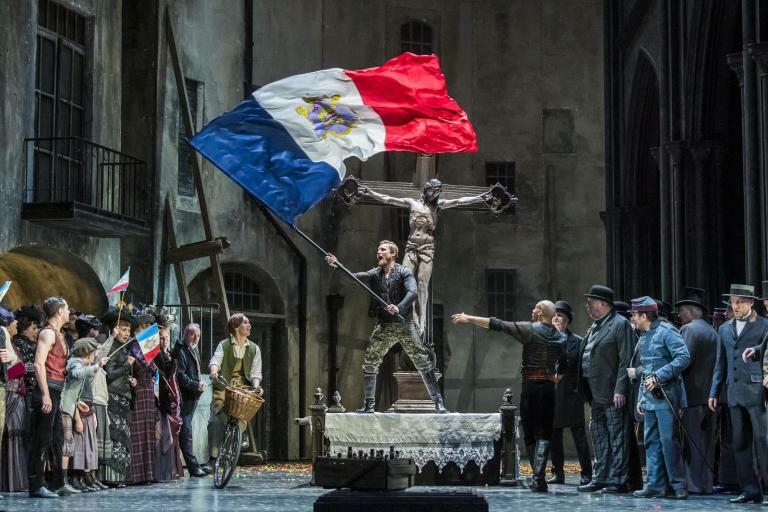 With their combination of unique venues and cast of outstanding singers, this innovative opera company consistently capture the essence of this incredible refined and raw art form. Peter Brook’s fascinating and experimental ethos perfectly complements Pop-Up Opera’s passionate approach to staging relevant and exhilarating opera. Director John Wilkie comments, Peter Brook’s incarnation of Prosper Merimee’s Carmen has fascinated me for many years – everything is trimmed away from the grander adaptations with which many are accustomed to focus on the intense interaction, the tragedy of the four protagonists. This production will be set at the end of the Spanish Civil War and we will investigate the psychological elements that lie at the heart of this retelling of Carmen’s tale. I am immensely looking forward to bringing life to La Tragédie de Carmen with this very exciting team.